What's the check in and check out time? Check in time is 3.00pm and check out time is 10.30am. If you need an earlier check in time, please discuss availability with us..
Can you help me organise a special occasion? We can discuss any particular requirements you have. For example, you may like to decorate a room for a honeymoon or anniversary with flowers, champagne, rose petals and balloons. Do you hire out rooms for events? Yes, our St Leonards B&B has some lovely rooms for family and business events that can be tailored to your needs, please see events. We are happy to cater for any special dietary needs such as gluten free, vegetarian or vegan diets (our the chef is qualified in diet and nutrition). Please advise us at the time of booking. However, we are sorry, but we can't accommodate any serious or life-threatening nut or food allergy. You can pay by cheque, cash, debit or credit card (except Amex). A credit card is required to secure your booking (no payment is taken until arrival or departure). There is a 4% transfer handling fee if you pay by credit card. Can you book local taxis or restaurants for me? Of course, we have excellent local knowledge and are happy to help with taxi, restaurant and theatre bookings. Do rooms have an iron or trouser press? We can provide our St Leonards B&B guests with an iron, ironing board and laundry service on request. Cleaning products as eco as possible. Do you allow smoking in your St Leonards B&B? For the comfort of all our staff and guests and to comply with current regulations, it is a non-smoking venue throughout. But we do have several outside sheltered and lit areas where smoking is permitted. 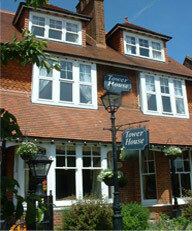 Do you hold wedding or civil ceremonies at Tower House 1066? We are not licensed to hold wedding ceremonies, but we can certainly cater for your event or small parties and have rooms for your guests. Do you have a restaurant for non-residents? 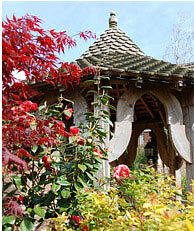 Can your St Leonards B&B suggest places for a great day out? Of course. You can stroll to the creative hub of St Leonards seaside and new Marine Pavilion. Or, why not visit the nearby bustling shops, galleries, bars and pubs in our engaging, bohemian neighbourhood - a delightful mix of the old and new. Antique collectors will love the antique emporiums and bric-a-brac shops dotted around St Leonards and nearby Hastings (that attract visitors nationwide). There are also regular events at the White Rock Theatre, Hastings, or the modernist De La Warr Pavilion in nearby Bexhill. See our attractions page for more ideas. Do you conform to fire safety? Absolutely, Tower House 1066 conforms to regulatory reform of the Fire Safety Order (FSO) 2005. I don't drive, how can I get around? We are a short walk from St Leonards train station, which links to London, Gatwick, Eastbourne, Brighton, Bexhill, Lewes and more. There is also a bus stop for services along the coast at the end of our road. If you are feeling energetic - why not hire a bike? 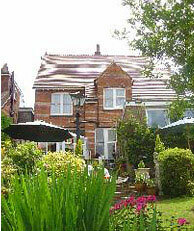 Have we answered your questions about our St Leonards B&B? If not, contact us for further help or find out more about us.